It now appears that Dell (DELL) will go private in what is being made out to be a strong arm deal of epic proportions. A consortium made up of Michael Dell, several private equity firms, and even Microsoft will take the company private at what is believed to be a ridiculously low multiple. The $24 billion deal basically values the company at eight times earnings, a low price for any control owner. Small shareholders are voicing their distaste for the deal all over the internet, from Yahoo message boards to investing social media. We’re Small Fries – The deal will likely go through with the help of the largest shareholders, many of whom will remain shareholders in the company after going private. The largest shareholders (including Michael Dell at 16%) can come together to push out small investors without breaking a sweat. A deal only needs 50% to go through, not 100%. Founding Executives can be Wildcards – I have nothing more than anecdotes, but there appears to be something with founders making irrational decisions for the rest of their shareholders. In 2008, Yahoo founder Jerry Yang turned down $31 per share for Yahoo from Microsoft, only for the company to languish in the following years. Now, Michael Dell is proposing a deal at what many believe is a below-market price for his own benefit to restore the company that shares his name. It’s only logical that founders would have more attachment to their companies than non-founding executives. Bad Timing Can Ruin Good Investments – The Dell deal comes at a time that the entire PC industry is trading well below historical multiples. Comparable company analyses are used to justify prices for the sale of a company. Dell’s private offer comes after a very good comparable, HP, announced a huge accounting misstep and massive quarterly losses. Bad Moves Can Bite Twice – Dell spent billions of dollars repurchasing shares well above the buyout price, essentially wasting shareholder capital to later reduce the take-private price insiders will pay for the company. Furthermore, Dell executives spent years denying shareholders larger dividends with foreign cash, but it’s likely that cash will come back from overseas to help finance the take-private bid. Bigger Isn’t Always Safer – The sheer size of the company makes it difficult for anyone to race in with a competing bid. If this were a smaller company, it could be swallowed by a single institutional investor. Any deal with Dell requires several massive participants, but there aren’t several massive participants left that can step up. Management Can Be Greedy – There was an alternative to a take-private bid, a leveraged recap, which would keep interested shareholders in for the turnaround while increasing the stakes for major partners and shareholders. That option was taken off the table, vesting 100% of the upside in the hands of new partners and current Dell management. 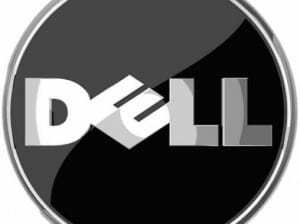 The market seems to expect that Dell will go private without any other offers or discussion. A new bidder has only 45 days to step up, and there doesn’t seem to be much to stop the consortium of bidders from snapping it up. The major take home lesson might just be that who you partner with matters. While it’s good to see that management and institutional investors make up a big portion of the share count, very concentrated ownership can also come back to bite you. It doesn’t get much worse than getting taken out at a loss by a bid many believe to be much too low, but too big to fail. What are your thoughts on the Dell deal? What about these ugly investment realities to begin with? A value investor and blogger who enjoys discovering the hidden gems available on the public markets. You can read more from JT at his site Money Mamba. The other take home lesson to me is diversification. I can’t predict what any stock will do, though I can make educated guesses. But it’s a gaurantee that if you wait long enough unexpected events will pop up. If you have 30-40 holdings and one of them does something stupid (stupid for your portfolio), you haven’t lost that much. I think #s 1, 5, and 6 are the big ones to remember. They don’t care about us, they’re greedy and no one’s safe. I think if people keep those in mind, they’ll get along AOK! #6: Can be? The safe assumption is that they all are. You’ve heard of agency theory, right. Well, these days it’s running unfettered. I don’t want to be that much of a cynic! I’ve been in positions where I and all other minority shareholders have zero weight but majority owners don’t turn the screw. But I don’t think there’s anything wrong with that broad assumption to protect your investment capital. Dell’s not the kind of business I want to be in, but it’s cheap on a multiple of free cash flow, which discounts the impact of their silly acquisitions. I think it’s too cheap. Great lessons, JT. I hope intelligent small investors have largely been away from Dell the last few years. What was there to offer? A product with slim margins and spotty customer service. The shine was clearly off Dell for some time. It’s a shame, really, since they’re loved in the enterprise category. I think it’s getting back to the basics that would do wonders for Dell. Ditch the hot stuff and sell the hardware and lucrative service and warranty packages. Can’t comment too much on this one, but #7 – Sometimes a turnaround is best done out of sight. Are bankers friendlier than public shareholders? I don’t want to be too cynical, but despite the conservative shoes I’d say they’re smarter. Good post JT! I would agree with Joe that I hope that the retail investor has been away from Dell for the past few years as there has not been a whole lot to gain from it. #1 is a big point and many retail investors do not understand that things like this can happen whenever the powers that be want to see it go forward. I just wonder when the next one will take place…maybe Best Buy? I think there is good reason why Dell is trading where it is. PC sales have declined in 2012 for the first time in years, and not expected to mount a significant recovery any time soon. I think if Dell and co believe that they can extract greater value from the business , good luck to them. Its likely a tough ask.